The Writer would like to express his deepest appreciation to the many devotees of the Master who have, over the years, shared ideas, stories, and illustrations. Each unknowingly, has had a part in the formulation of this small book and has given much love and inspiration to the writer. The most important acknowledgment is the most difficult, for man has always tried to acknowledgment his indebtedness to God. Millions thirst for God, but few have been fortunate enough to find him walking among us disguised as mortal man. Fewer still have been given the grace of initiation onto the path of the Master ensuring that the liberation of the soul can one day be realized. To my Master, Maharaj Charan Singh, of Beas, India, this book is most reverently dedicated in the hope that it may be a small beacon for the many thousands of spiritual seekers yearning for liberation. 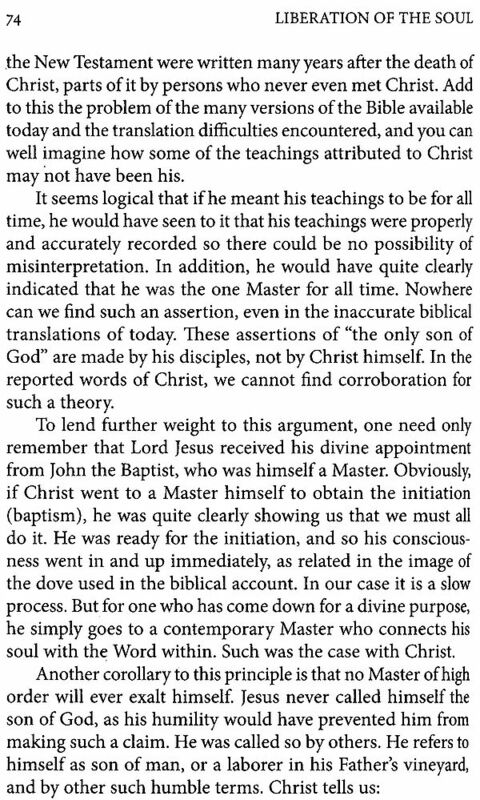 Whatever shortcoming may be found in the text should be taken as reflection of the writer’s profound imperfection and his inability to adequately explain the Master’s lofty teaching. Recognizing these inadequacies, It is placed in service, however small, at the holy feet of the living Lord. Professor Stanley White wrote this book in the early 1970s as an introduction to the basic principles of Sant Mat, the teaching of the saints. He addressed himself particularly to the youth of his time, and being a teacher of psychology and Eastern philosophy, he was well qualified for such a task. In those days many of the students of the west were questioning the value system which has underpinned their society for decades. Some ‘dropped out” of the system and set themselves to establish a counter- culture; some explored the world of mind-expanding drugs in the hope of enhancing their understanding of life; some turned their backs on their own religion and travelled East in search of a spiritual path which might reveal the purpose of the creation, and thus infuse their lives with meaning. Professor White was fortunate to have discovered such a path. He had been blessed by coming in contact with a perfect living Master, Huzur Maharaj Charan Singh, who initiated him into Surat Shabd Yoga, the science of the soul. When his professional skills took him to India for a two-year contract as a school psychologist at the American school in New Delhi, Professor White was provided with the opportunity to deepen his understanding of the teachings at the feet of his Master, and to write this book . Most people will agree that just as there is natural tendency in human nature to become complacent as one gets older, so it is natural to fight in order to realize one’s ideals when young. This youthful impulse often expresses itself in an intense desire to know, and it is to satisfy this need that Professor White wrote his book. It is our earnest hope that this book will guide the young seeker of spirituality today just as it has guided many since it was first published. For the seventh edition some minor revisions have been made to the text, which in no way alter the substance of the author’s meaning. They have been made in view of changes in cultural attitudes in the West during the Intervening years, and the growth of materialism in the East. We are grateful to Professor White for his help and cooperation in bringing out this revised seventh edition. Two short years have elapsed since Liberation of the Soul appeared in its revised second edition. 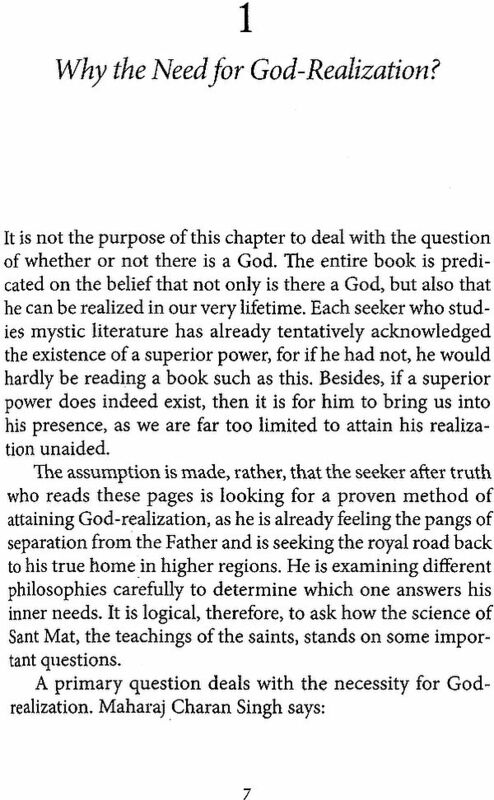 Again the author is amazed to find that there have been so many thousands of seekers after mystic truth who has read it. Obviously, we are living in a time when there exists a very real and genuine desire to know higher reality or God. All over the world, people are searching for answers to the significant question of life. The social, political, and economic conditions in the world have deteriorated quite markedly since this small book first appeared in 1972, thus emphasizing graphically that the world as understood and explained by the mystic Masters is indeed the world as it truly exists. The more “advanced” our culture becomes, the farther away we seem to move from being in touch with our source. We live in a computerized, mechanized and homogenized society where machines are more important than people, and where respect for life and human dignity ebbs further and further away with each passing year. This is Kal yuga- the age of darkness-and mankind moves ever deeper into the abyss of ignorance and sensuality. There is, however, a bright side to the picture, for mystic tell us that the supreme Father, in the picture, for mystics his redeemers in greater numbers during such times. Further, the teachings of the master become more easily available to us. So it is that we see, through his grace, the message of mysticism contained in this book spreading all over the world. An Indian proverb says that “a fish returns to the surface after dashing its head against a stone at the bottom.” It means that reaction is normal and begins when the pendulum has swung to its extreme. All living creatures are in search of happiness. The human mind is always trying to explore new paths of happiness, joy, peace and pleasure. Many look for these in wine, women, wealth and possessions. High living, laced with unprecedented accomplishments on the material plane, has seldom reached such staggering heights as it has done it the last hundred or so years. The result has been not more happiness, but greater physical dissatisfaction, mental discontent, spiritual deterioration emotional maladjustment and social discord. Instead of harmony and happiness, strain and strife are rampant everywhere. More wealth, with its “painted pomp,” has brought even greater lust and loose living in its wake. Family life has been disrupted. Love, respect, affection, Christian charity, brotherly benevolence, mortherly tenderbess, goodwill towards men, and the quest for God are considered by many as things of the past. Poverty, unemployment suicides, strikes and social unrest have increased. Greater wealth has made hearts more greedy, friendship is often mere feigning, and much talk of love is simply selfish cheating. We seem to have more murders, more robberies, more wars, more crimes and more killings on a grand scale. Yet, sometimes even the greatest grief carries its own relief, and sweet becomes the adversity when the heart learns the art of turning its double-paints to double-gains. Now there are signs that the modern mind, having received a rude jolt from the ultra-material style of life, wonders about the possibility of finding true happiness and real peace somewhere beyond the realm of mind and matter. Recent spectacular advances in science, such as atom-splitting, heart-transplanting, jumbo-jetting and moon-walking , though making us justly proud of our progress on the physical plane, have given an unexpected and sudden shock to our intellect. Having bruised their knuckles on the hard door of materialism, some intellectuals are now prompted to look for peace and happiness elsewhere. They have started knocking again on God’s door. Further, in the life of every thinking person, there comes a time when the transitory nature of this worldly existence with its manifold sufferings and sorrow captures his attention, and he is compelled to reflect upon the nature of the world and then life beyond the grave. But mere reasoning and thinking will not help him much. His reason can supply no answer when faced with perplexing question that baffled minds as profound as that of Socrates. How and why was the world created? Why is it so imperfect and open to criticism? If God is good and gracious, where did evil come from? Why is there so much misery and poverty? Is there a Satan? Is everything managed by God, or has man any say in his destiny? Is there a soul and what happens to it at the time of death? Is death the end-all- and be-all or is there life after death? 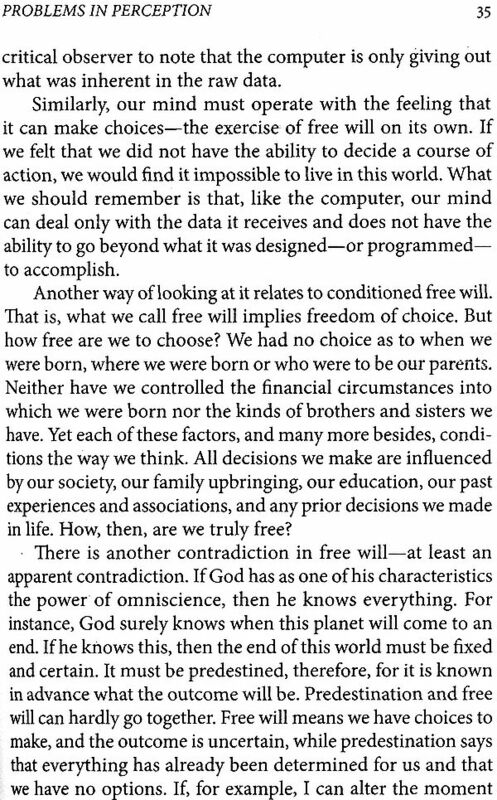 Question of free will and fate, predestination and volition, and many other knotty and complex questions of life and death confuse and confound the truth-seeker at every step. Concepts of God presented to him have also been mostly ill-conceived and blurred. It is due to these half-baked ideas that many thinking people have revolted in disgust and become atheists. Sterile rituals, ceremonial prayers, customary church-going, parroting of scripture and trekking to holy places have long since ceased to satisfy their hunger for truth and inner knowledge. 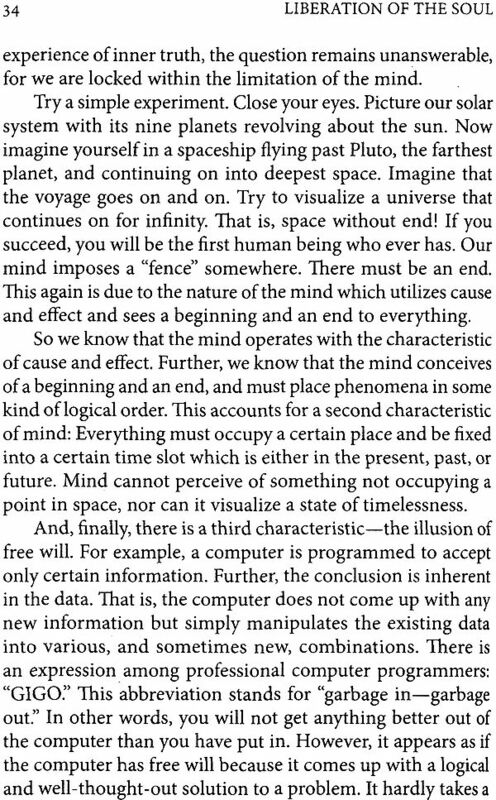 In fact, this kind of mumbo-jumbo has never appealed to the intelligent person. The arduous and obscure hair-splitting of the six schools of ancient Indian philosophy was only useful to a minuscule minority. Rarely have people found a true anchor. It is here that the message of the Masters (the path of the Word) comes as life-giving nectar to thirsty humanity. It is a simple path of love and devotion, which lay down a few clear precepts and spiritual practices. Its teaching attracts the philosopher as irresistibly as the peasant. Men and women of all countries, races religions, and shades of intellect and conviction can easily follow it –and do follow it. 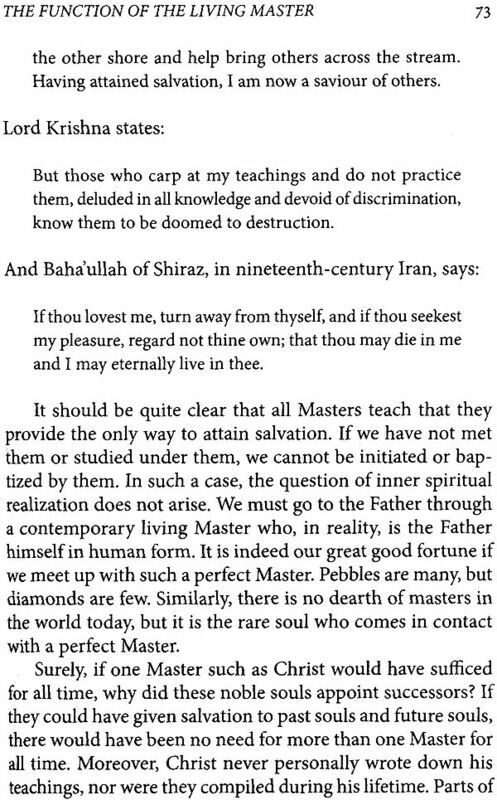 Masters believe-or rather see- that the soul is a ray of the divine sun, a drop from the great ocean of peace, bliss and life, from which it departed long ago. Since this separation, it has known nothing but pain and depression in this world of the senses. No one is happy in this prison of continual birth and death, birth and death birth and death. 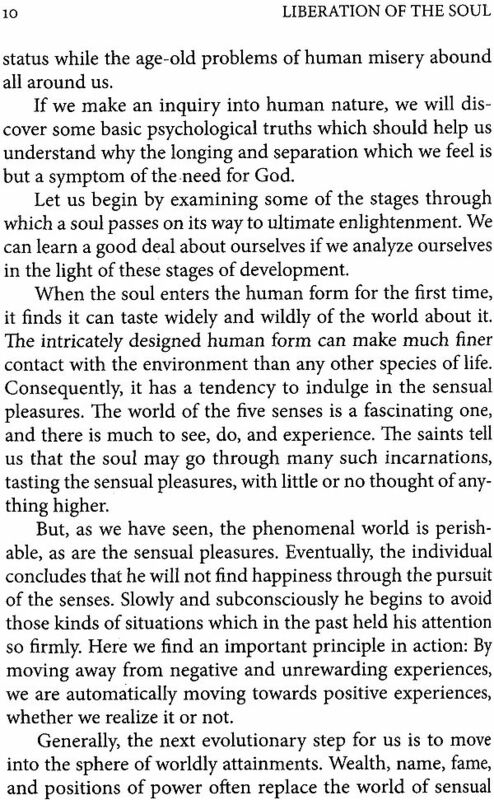 The soul, descending into the physical body, has become tied down with the mind, whose love of sensual pleasures has made it a veritable slave of the senses. It has degenerated to an animal state, where so much dross and dirt have gathered round it that it has totally forgotten its heavenly origin and suffers all sorts of misery, delusion and distress. Everyone is in search of happiness, but looking for it in earthly pleasures and objects brings more unhappiness. People have not found it because they have not searched for it where it can be found. Masters advise that God is the only source of happiness and bliss. The drop can only find peace when it merges back into its ocean, and this is only possible in the human form. No other species has this capacity and privilege. Masters say that our body is the temple of the living God and that the kingdom of god is within us. Nobody should look anywhere outside for god-realization. To enter this temple of nine gates –our body-we need the help of a living guide, a God-realized soul. These sons of God are always present in the world. The world is never without them. This is the law of God. He sends his sons to help true and sincere seekers to escape from this dark jail of pain and misery. Their message is always the same in all ages and in all countries. They say, “Brother, this world is not your true home. You are a stranger in this foreign land where nothing you see is really like you. Leave this place to sorrow where no one has ever found true and lasting happiness. The fountain of peace and bliss is within you. Seek a perfect Master who will show you the way to locate that spring of nectar inside yourself. He will attach you to the voice of God- the word, the Logos, the divine melody-which constantly rings within you behind your eyes. It will pull you up like a gigantic magnet and draw you to the feet of the lord. And you will never leave him again. He gave me the privilege of studying his manuscript before sending it to the press. I enjoyed it very much. 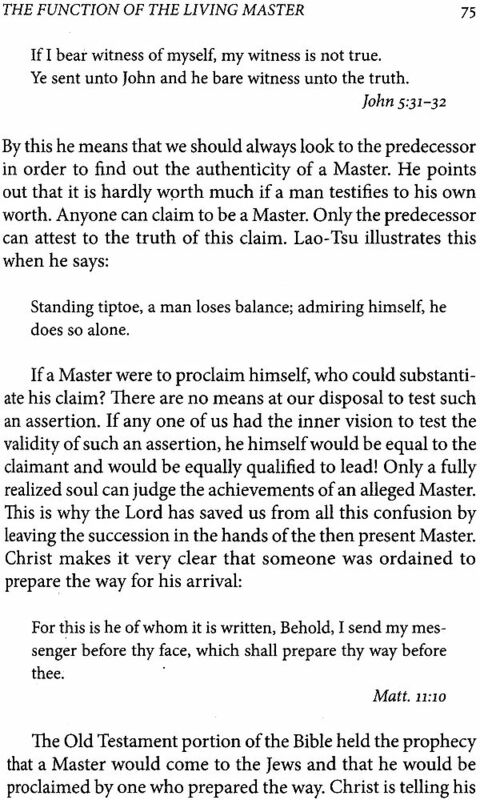 I believe I was the first Indian follower of the Masters with whom he came into contact’ after being initiated by his Master. First we became personal friends and had many long and fruitful discussions about the path of the Masters. The closer we came to each other, the more I grew to like him for his wisdom, truth, and sincerity-qualities which have given him so much faith, love and devotion for the living Master. In this book he has logically demonstrated that the real purpose of human life is God-realization- to make God a reality here and now, while living. 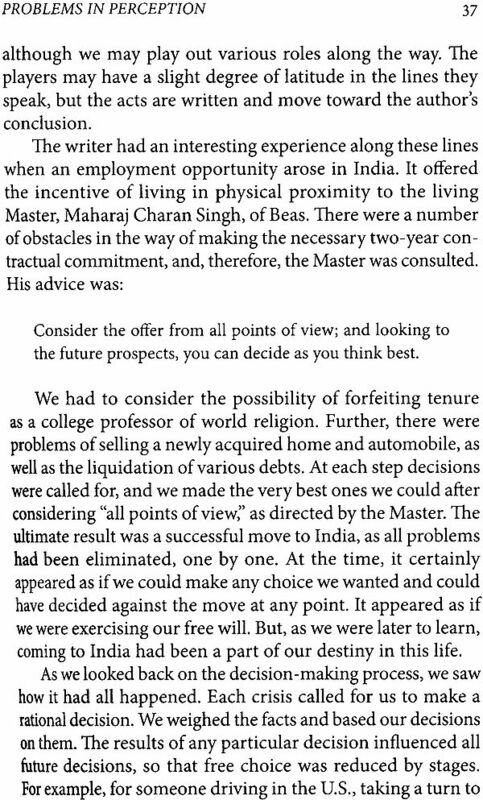 Toward this end, and to his own personal great advantage, the author has lived in India for the past two years, learning and studying at the feet of the present Master, Maharaj Charan singh. In these troubled times, it is only natural that young people among us are asking deep and penetrating question about the nature of the world in which we live. War, poverty, inhumanity, injustice, and inequality prevail. People seem indifferent, impersonal, and out of touch with themselves. Each day we read of nation making war upon nation, of racial and religious hatred, and bigotry of all types. We cry out for peace, but we prepare for war. We listen to sermons on virtue, and then commit unspeakable atrocities. This is the world which lies before our two eyes. Is it any wonder that young people are asking such searching questions? Is it so foolish to desire answers to these troubling problems? 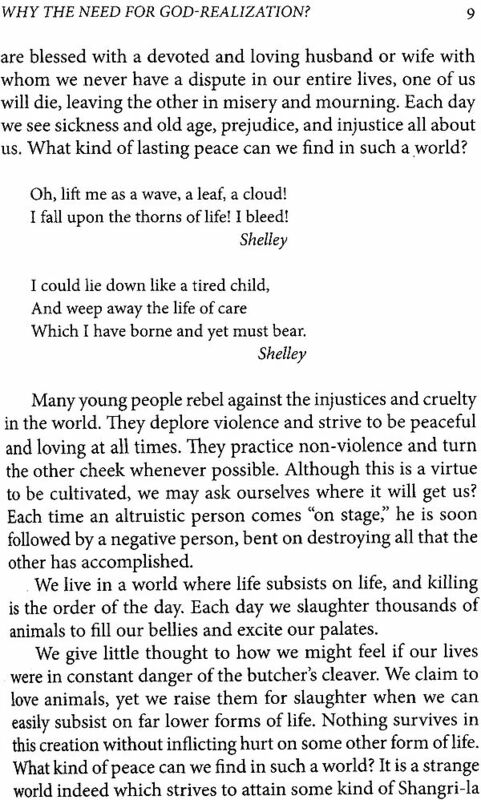 As a matter of fact, the youth of today should be congratulated for their desire to seek a more meaningful existence. They have pointed out the hypocrisy of our society with great sincerity and noble motive. If we study the history of the world, we find that people of the highest intellectual ability have asked these very same questions. We all wonder, if men are all ‘created equal,” why so many of our brothers and sisters suffer deprivation and hardship. Why do all of us have so many ups and downs in life/ why can’t everyone simply be happy from birth to death? 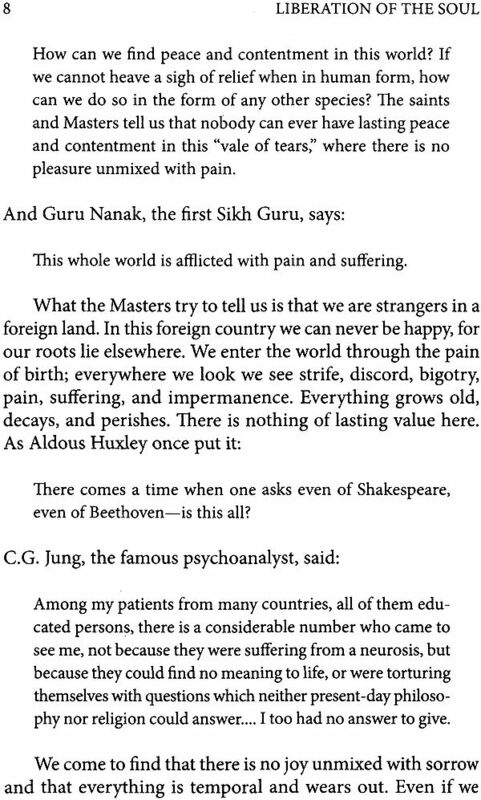 In short, why is life so hard to understand, and why does man suffer as he does? In whatsoever way men approach me [God], thus do I reward them. And so, in the quest for self-realization, people approach the truth in different ways. Each avenue of investigation gives the particular seeker a different answer, and he generally finds what he is truly searching for. It is the aim of this book to present an alternative to the way we now live in this world. There has been enough said about what’s wrong with this world. Most of us are interested in the solution to the problem rather than in a reiteration of it. 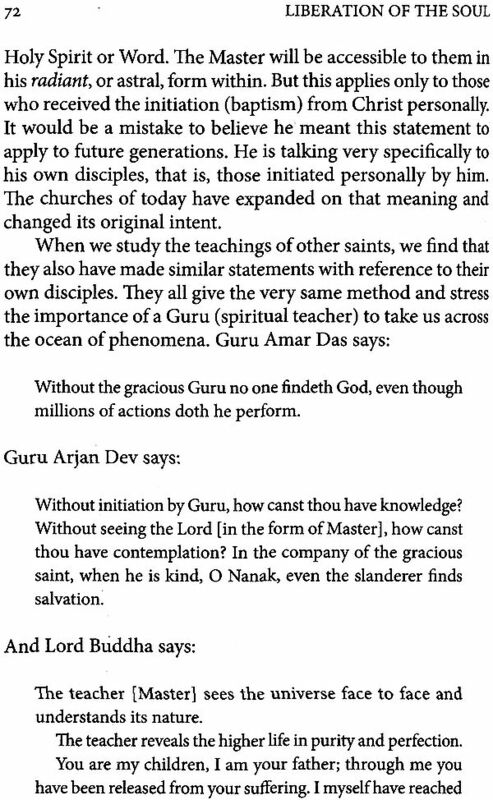 For many of us, the answer contained in the philosophy of Sant Mat (the teaching of the Saints) has proven to be the correct perception of, and solution to, the problems of human existence. This philosophy, which we will study in detail, is the inner path of God-realization as taught to us by a perfect living Master. What man is there of you whom if his son ask bread, will he give him a stone? Similarly, if a young person with full faith and devotion cries out to the lord for guidance, will he not answer? It is the testimony of all the great saints and Masters that the Lord does indeed hear our cry for help. 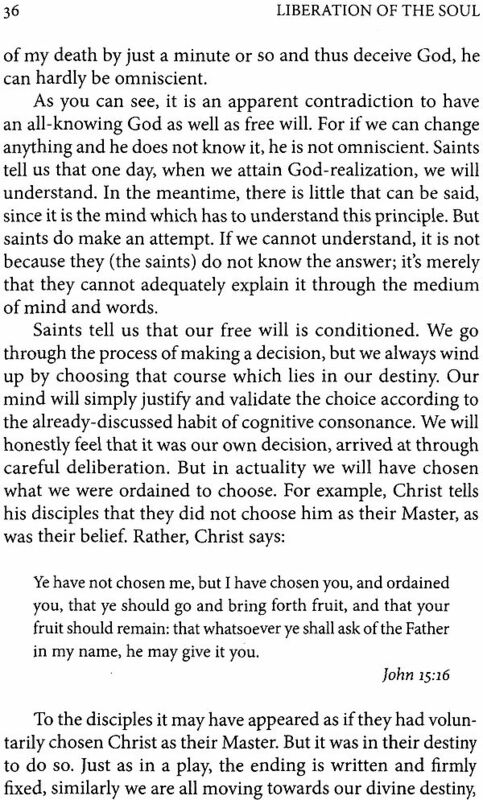 In fact, it would not be possible for us to attain the realization of God if he himself did not assist us in that journey. Lovingly, he devises methods for us to come onto a path of devotion which will ultimately brings us to his very doorstop. We feel that we have developed a longing for the Lord, while in reality it is the Lord himself who has put that longing within us. Let us illustrate this point with a small story. Suppose you agree to play a game of hide-and –seek with a tiny brother or sister. Let us also suppose that you decide to hide from the child in such a way that he will not be able to find you. Could you do it? Certainly. You are far cleverer than the tiny child and quite easily devise a hiding place that will frustrate his efforts. But what do you do instead? You generally pick some place to hide which is not too difficult to find. If, after a reasonable length of time, the child has not found your hiding place, you make little noises or in some subtle way send him some clues as to your whereabouts. When he finds you, he proclaims with great pride, “I found you!” you modestly allow him to take the credit, although, without your guidance, he would never have found your location. It is quite similar in terms of our search for ultimate truth. Great numbers cry out for God. There are hundreds of religions and philosophies in this world, all claiming to point the way toward enlightenment. If we were to spend our entire lifetime studying religion and philosophy, we could not become familiar with all of them, let alone decide which one (if any) is the “correct” one. It is like the game of hide-and- seeks. Unless we are given assistance by the lord, who is the object of our search, we will never succeed in finding the right path. There will be so many temptations, so many be-ways, so many traps and pitfalls along the way, we will hardly know which road to travel. Even if we do succeed in finding a philosophy to follow, our faith will be of the blind variety, and we will be unsure of ourselves. On some day we will have great enthusiasm and devotion, and on other days we will once again be shaky and unsure of our sincerity and dedication. No without his divine assistance, we will never succeed in finding the lord. But what am i? An infant crying for the night;, an infant crying for the night;, and with no language but a cry. Ask, and it shall be given you; seek and ye shall find; knock, and it shall be opened unto you: for every one that asketh receiveth; and he that seeketh findethl; and to him that knocketh is shall be opened. The fact that you are reading a book intended to explain the mystical approach to God-realization is a good indication that your search is nearing an end. Everything is against our seeking God in this age in which we live. The media, the morals of society, the materialistic emphasis-all drive us towards the sensual pleasures. It is the rare person indeed who chooses to search for inner realization. At the very least, it is hoped that this book will enlarge your understanding of Eastern mysticism, as taught by the realized saints of India as well as by the saints of other times and places. 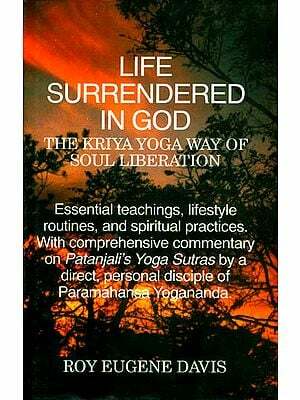 For some, it may even point out that true path to God-realization which is consistent with the philosophy explained in this book. This will not be one of the many thousands of books which discuss God-realization, only to create an unquenchable thirst in the seeker’s heart. For those who subscribe to the philosophy discussed herein, a definite living path to liberation will be explained, and a method of salvation will be described. For we are on a cosmic journey, although the destination remains a mystery to most of us. But this does not deter the soul from moving towards its destiny.